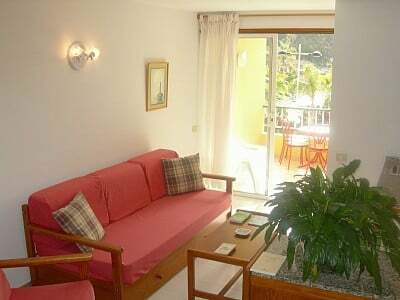 Apartments Patricia and Maria offer the ideal opportunity for enjoying a holiday on La Palma, exploring, walking and relaxing by the sea. 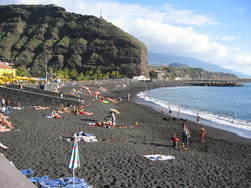 Located in Puerto de Tazacorte, these one-bedroom apartments are located right by the beach. The sun roof at the top of the apartments has a magnificent view over the beach, the sea and the ridge of the mighty Caldera. It's also a great place to sit and just relax! Tazacorte beach New Year's Day Each apartment has its own private balcony with table and chairs - and still an excellent view! 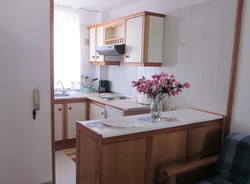 The apartments are light and spacious with a well-equipped kitchen area and open-plan lounge/diner, bedroom and bathroom. 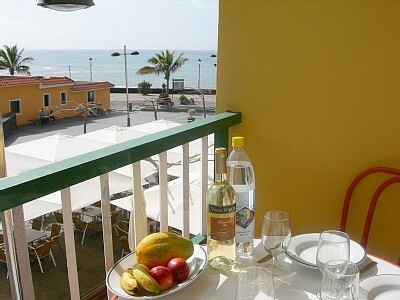 Kitchen Apartment Maria Enjoy meals al fresco on your holiday apartment balcony or at one of the nearby restaurants. 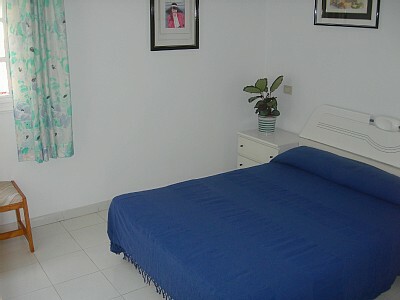 The bright and restful lounge in each apartment has a sofa bed and also a television. 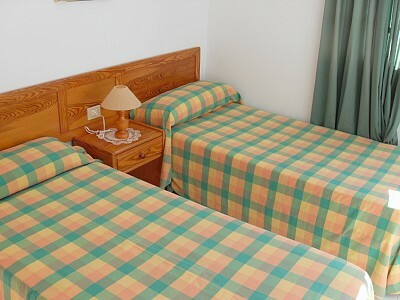 The apartments all have one bedroom with either a double bed or twin beds. The sofa bed in each apartment can sleep up to two extra people. 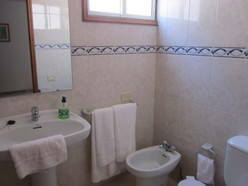 All bathrooms have shower, toilet and washbasin and some have a bidet. 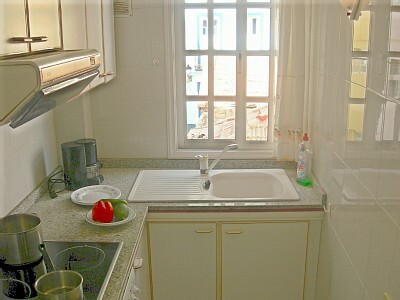 Towels are provided in all the apartments. These apartments are ideal as a base for walking the south west section of the GR130 Camino Real, the GR131 El Bastón and volcano route. 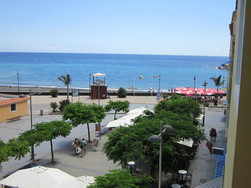 For more details about these apartments to rent for your holiday on La Palma, please send us an enquiry. 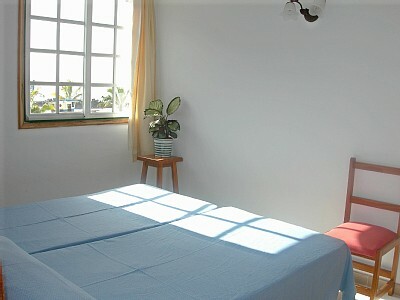 If you would like details of La Casita, our self-catering house to rent in the north of La Palma please don't hesitate to ask.